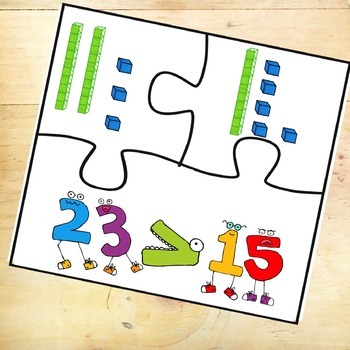 A puzzle center set perfect for early place value learners. 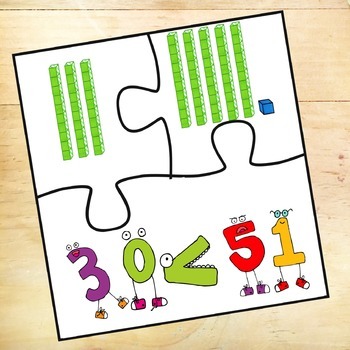 Easy base ten representation of numbers less than 100 and then uses greater than, less than or equal to to compare the two numbers to complete the puzzle set. 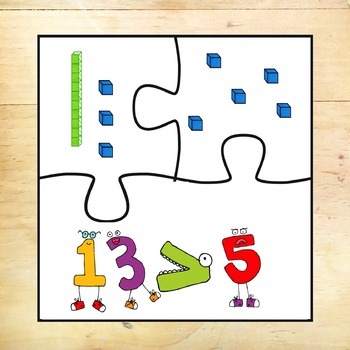 Three pieces makes it easy for 1st graders or 2nd graders. 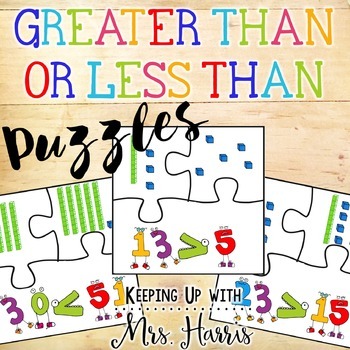 © 2015 KEEPING UP WITH MRS HARRIS PRODUCTS. This purchase is for you and your classroom. Duplication for an entire school, an entire school system, or for commercial purposes is strictly forbidden. Please have other teachers purchase their own copy. If you are a school or district interested in purchasing several licenses, please contact me for a district-wide quote.